Mr. Martin’s practice places an emphasis on Personal Injury claims involving Motor Vehicles, Premises Liability and Product Liability. He Has obtained “million dollar” recoveries in claims involving defective machinery used in factory settings. Mr. Martin also specializes in handling private and group (ERISA) disability policy claims, as well as bad faith claims involving Disability insurance, Homeowners insurance and Uninsured and Underinsured Motorist insurance. Keith Martin is a pro tem judge for the Philadelphia Court of Common Pleas. He is the past fund-raising director and a past board member of the Philadelphia Association for Justice. He was instrumental in raising funds to help defeat the insurance industry’s attempts to pass laws to limit product liability lawsuits. He is also a member of the Pennsylvania Bar Association and the American Association for Justice. 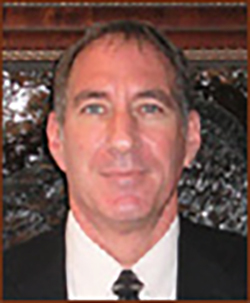 Keith is also certified mediator and arbitrator for both erisa and individual claims. Keith Martin currently resides in Philadelphia, Pennsylvania where he has been able to represent countless individuals nationwide.